Yoga For Healthy Lower Backs is a specialist yoga programme proven to help relieve chronic low back pain – Evidence-based yoga classes supported by classes, a book and relaxation CD. 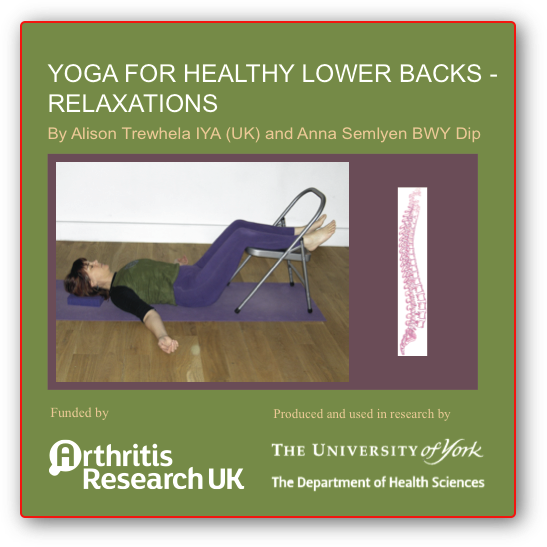 The University of York (Department of Health Sciences) ran one of the largest research studies into yoga to date, funded by Arthritis Research UK. The positive results were published in the Annals of Internal Medicine in 2011. 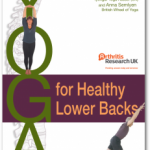 Yoga for Healthy Lower Backs teachers are highly experienced yoga teaching professionals with thorough additional back-care yoga specialist training. The majority have qualified with the British Wheel of Yoga or in Iyengar Yoga.. Please see website for additional information and a short video. Specialised 12 week course , learn life-long skills to improve health and get back to being more active again. You will be taught to bring postural improvements, mental focus and relaxation techniques into your daily life.The classes are individualised and specially modified so they are appropriate for you. Enjoy helping yourself with this yoga ‘toolkit’, as many others have. Before commencing the course, a registration form will be filled in including your medical details. Please contact me for next start date and for any information you require. Book your space early as places are Limited. ….My back pain is almost not noticeable any more and I have a more positive mental attitude. My back is the best it has ever been since my injury 25 years ago! The course has raised awareness of myself and connected my mind to my body.I have learned how I can help myself and can manage pain without the need of painkillers……. 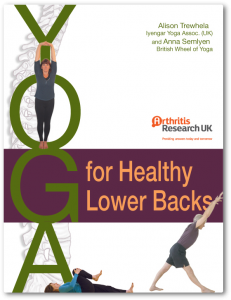 ….Yoga has given me the confidence to reclaim my life after a year of pain from a slipped disc. I felt supported in returning to fitness. Initially I was uncertain whether I was doing movements correctly and embarrassed about my seeming inability to fit in home practice. Deborah was non-judgemental, patient and supportive and gradually I became aware of the improvement that was taking place both in my ability to carry out the poses and in my general level of confidence in returning to everyday tasks. ……I am now feeling my back is stronger, more confident and I’m walking much more……. P.R. Lowestoft.